AA - Canada ou Nouvelle France..
AA,P.v.d. - Canada ou Nouvelle France..
Canada ou Nouvelle France.. - AA,P.v.d. Description :Uncommon map of Canada, including Great Lakes and East Coast down to Philadelphia. 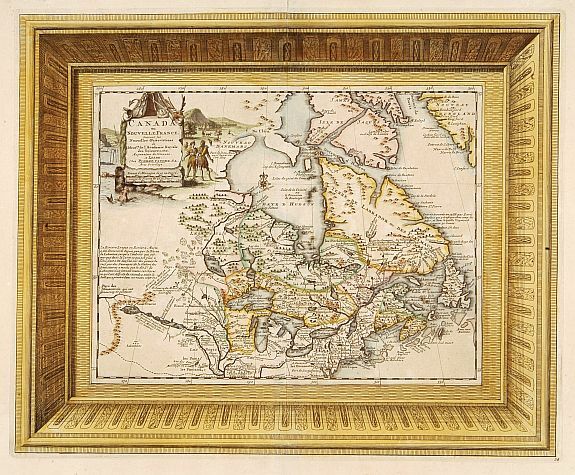 The map is printed within a large, elaborately engraved mock-frame border, which was prepared with a blank centre so that the map could be over-printed on that area. Condition : Good and dark impression. Paper slightly browned.